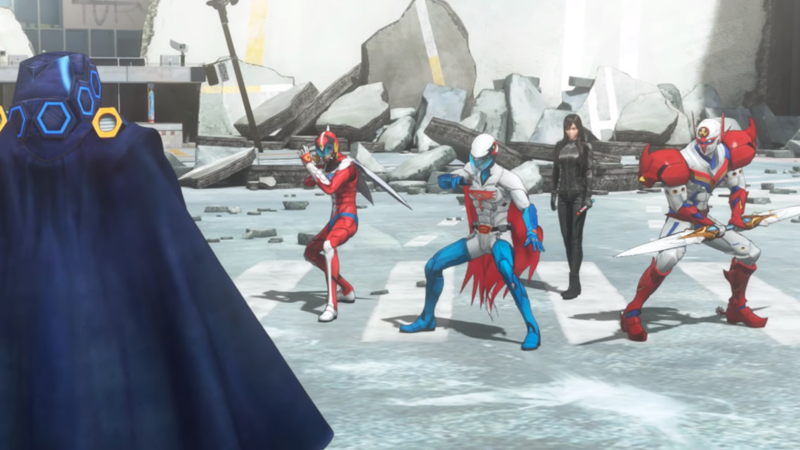 Last year, Tatsunoko announced it would be celebrating its 55th anniversary with an Avengers-esque mashup of some of its most iconic superheroes for a new anime series—and although Western audiences may only be vaguely familiar with some of these heroes, they’ll be getting to see the new show, too. Viz Media announced today that it’s acquired the rights to stream a subtitled version of Infini-T Force ahead of the show’s broadcast premiere in Japan, as well as the incoming animated movie due for release in Japan next year. The show, based on the manga series of the same name, brings together four Tatsunoko icons to create a superteam when a young girl named Emi uses a giant, magical pencil to wish for a hero to save her during a robbery attempt. Instead, she gets four of Tatsunoko’s most beloved heroes in Japan, all of which have had a brush in with US audiences in the past. You can see them in action in the clip below. There’s Ken the Eagle from Ninja Science Team Gatchaman, adapted in the West as G-Force and Battle of the Planets; robot-hunter Casshan from his self-titled series, who’s appeared in the Tatsunoko vs. Capcom fighting games; and Tekkaman from Tekkaman: The Space Night, briefly brought over to the US by Saban, the studio eventually behind Power Rangers, as Teknoman. Rounding out the group is Polymar from Hurricane Polymar, the remake of which was eventually dubbed into English in the mid ‘90s. It’s a weird combo and one that doesn’t quite have the same resonance to see come together outside of Japan, but we’re not going to say no to more superhero anime. Viz Media’s stream of Infini-T Force will be available starting tomorrow, October 4, at the link below.